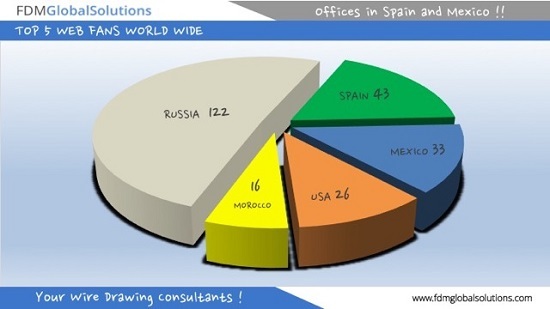 This month we like to share the countries are following our website. The graph shows the number of visits per country. Our followers are mainly concentrated in Russia this month (122 visits – 37,20 %) . Thanks to all our followers to help us to improve. We will send by mail a printable version of our T&T Data sheets to all the mails received. Prev:Can we live without copper?